The big-screen adaptation of the classic TV series Fantasy Island has landed a release date. The movie, based on the ABC series that ran from 1977-1984, will land in theaters February 28, 2020. Michael Pena (Ant-Man & The Wasp) will star as Mr. Roarke, who was played by Ricardo Montalban on the small screen. Other cast members include Lucy Hale (Truth or Dare), Jimmy O. Yang (Silicon Valley), and Dave Bautista (Guardians of the Galaxy Vol. 2). The film is described as being a tonal mix of Westworld meets The Cabin in the Woods, centering on a group of contest winners who arrive at an island hotel to live out their dreams, only to find themselves trapped in nightmare scenarios. Fantasy Island was a fan-favorite during its original run on the small screen. The island drama dealt with dark themes and the supernatural with a little bit of cheesiness as visitors would come to the island to live out their fantasies. Guests could request any fantasy on the unique resort island in the Pacific Ocean, overseen by the mysterious Mr. Roarke and Hervé Villechaize’s Tattoo, but those fantasies rarely turned out as expected as visitors found themselves facing challenges that tested their character. Jeff Wadlow will direct the big screen adaptation from a script he is writing with Chris Roach and Jillian Jacobs. Jason Blum is set to produce with Wadlow also serving as executive producer alongside Blumhouse’s Couper Samuelson. Ryan Turek will be overseeing the project for Blumhouse and Matt Milan overseeing for Sony. Blumhouse’s recent features include Halloween, The First Purge, Unfriended: Dark Web, and Upgrade. Upcoming projects include M. Night Shyamalan’s Glass starring Bruce Willis, James McAvoy, and Samuel L. Jackson in the third installment of a trilogy that includes previous features Unbreakable and Split. 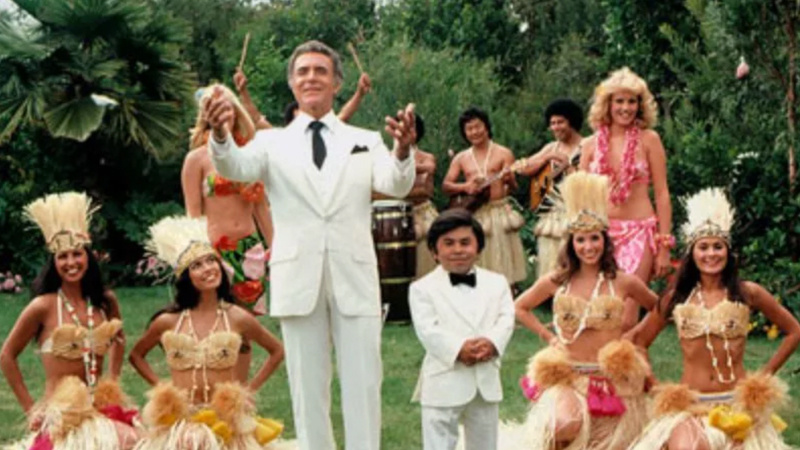 The post The Fantasy Island Movie Lands a 2020 Release Date appeared first on ComingSoon.net.